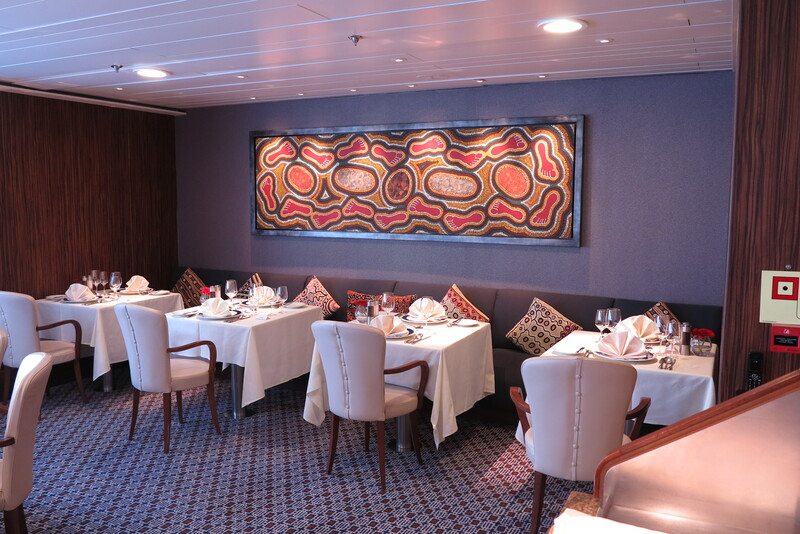 Saga Sapphire is rather like its passengers – a little dated on the outside but feeling definitely younger on the inside. The 37,000-tonne ship is 30 years old and looks like it should be bobbing around in a child’s bath tub, in contrast to the floating apartment blocks of more modern vessels. On deck, it looks solid and traditional, like something out of Carry On Cruising – I was half-expecting Sid James to show his face at any moment. There’s even a British seaside atmosphere around the pool, with a ‘beach club’ selling fish and chips, mushy peas and steak burgers. 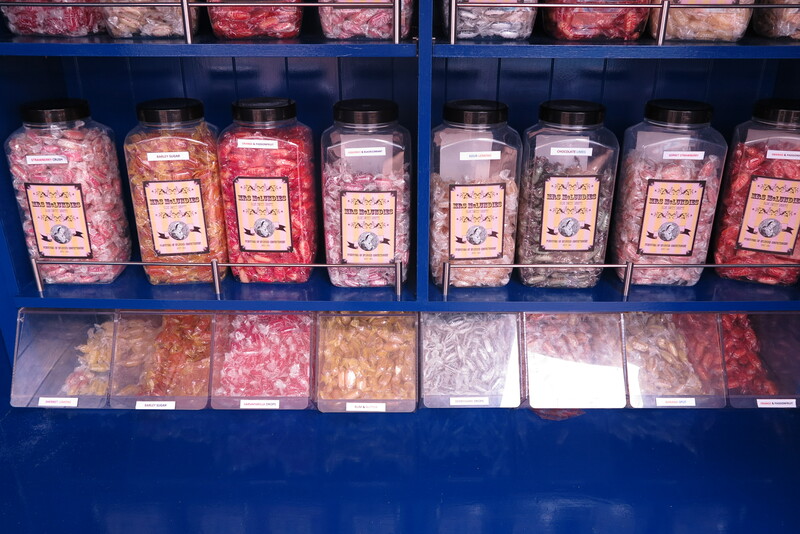 On each side are kiosks with ice cream and jars of sweets. One deck up you can find shuffleboard and a mini putting green ambitiously called St Andrews. 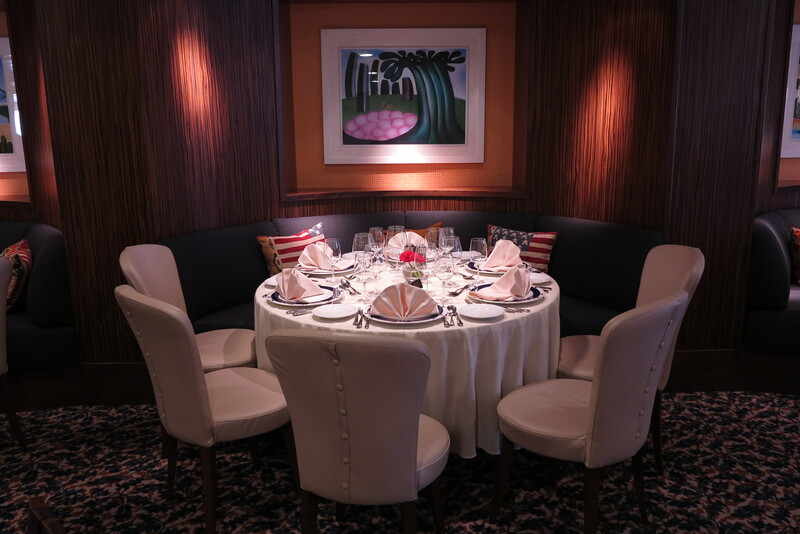 But as soon as you open the doors to the interior, you’re back in the 21st century with muted colours, comfortable furnishings and plenty of space. 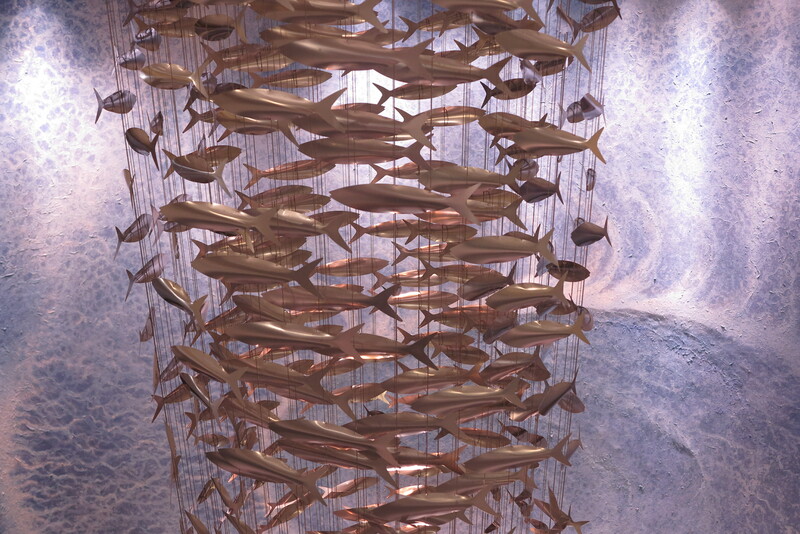 Sofas sit in the stair wells and there is an impressive contemporary sculpture in the three-storey atrium of fish caught in a whirlpool. 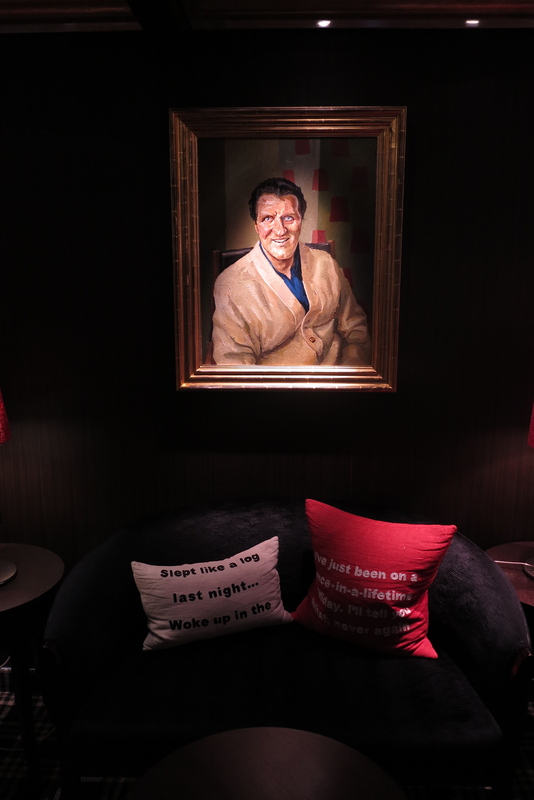 Bars are cosy and welcoming – there’s even one dedicated to Tommy Cooper – and the restaurants are broken up into themed areas. 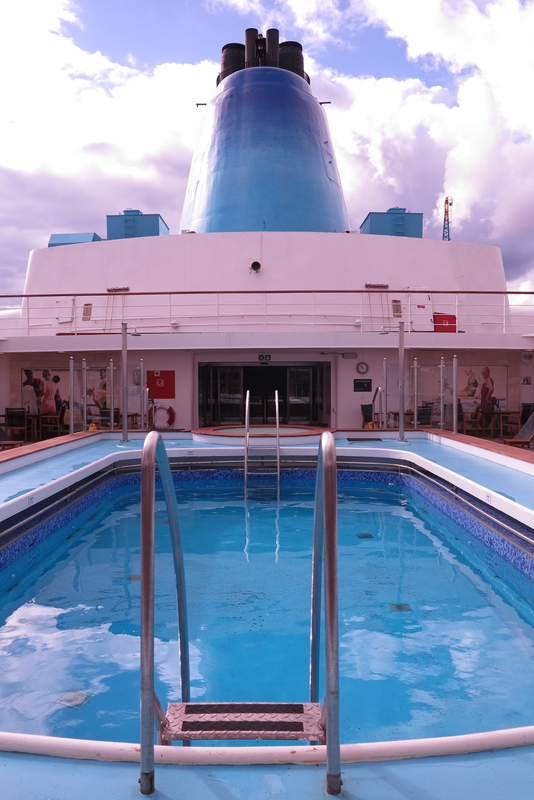 Down on deck 2 is a deep inside pool, a windowless small gym and the spa staffed by cheerful Britons. 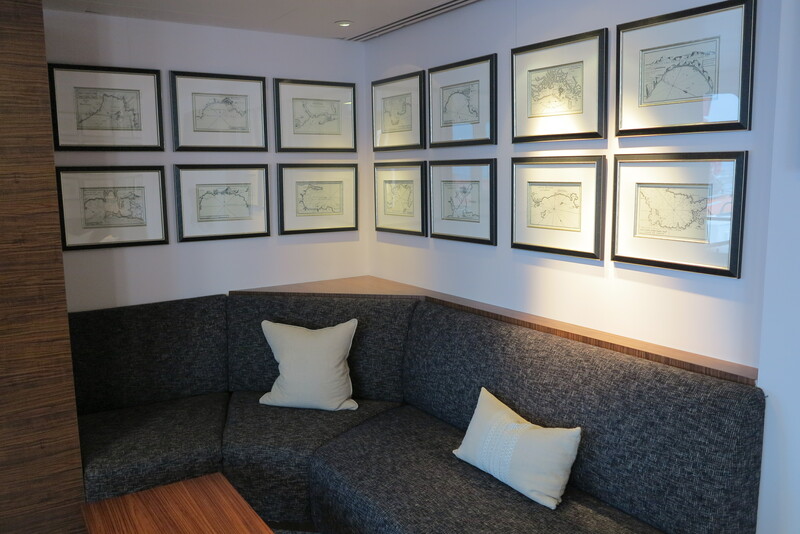 Saga, unlike many cruise lines, makes no pretence of being a young brand. Its brochures and websites aren’t full of twentysomethings in flowing gowns or raffish facial hair laughing over cocktails. It is what it says on the tin and appeals unashamedly to the over-50s which, I realise with a start, now includes me – though I’m still 30 in my head. 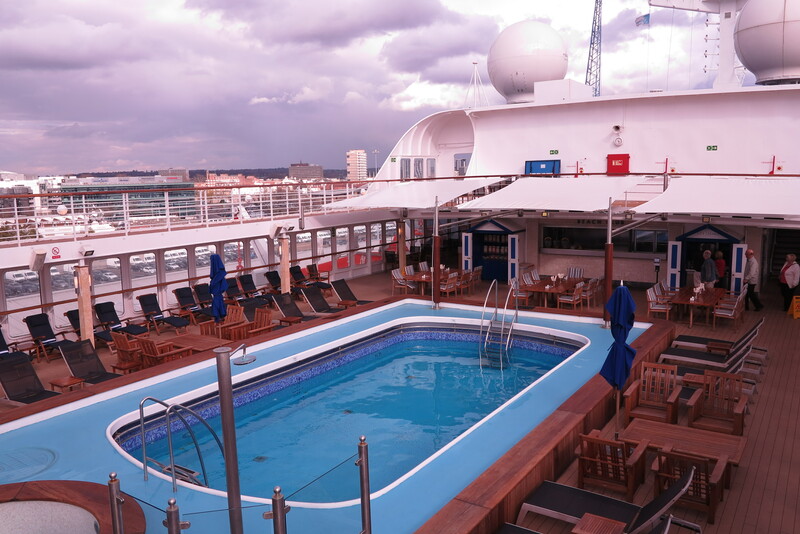 So there are no distracting children, play areas or video arcades on board – just card rooms, libraries and lounges. The entertainment during the ship’s visit to Southampton was The Big Wheels of Motown and The Upbeat Beatles, who had septuagenarians bopping around like they were teenagers again. When I started cruising eight years ago I doubted I would ever sail with Saga or Fred. Olsen. First, their names and image said ‘old people’ and, second, that full stop after ‘Fred’ irritated the hell out of me. So what do I think of Saga now? I’m pleasantly impressed. 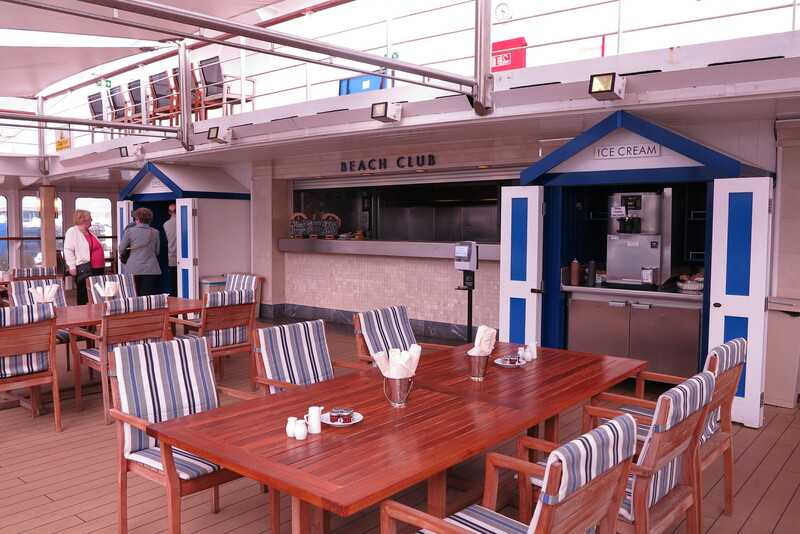 The cabins, though many don’t have balconies, are spacious and comfortable, the staff are friendly and the general atmosphere cheerful and relaxed. It’s reassuringly British, with familiar sockets, everything in sterling, and tea available 24 hours a day. And they do some nice touches – all tips are included, the spa staff don’t nag you to buy products, and – best of all – they provide a car and driver to pick you up and take you home. 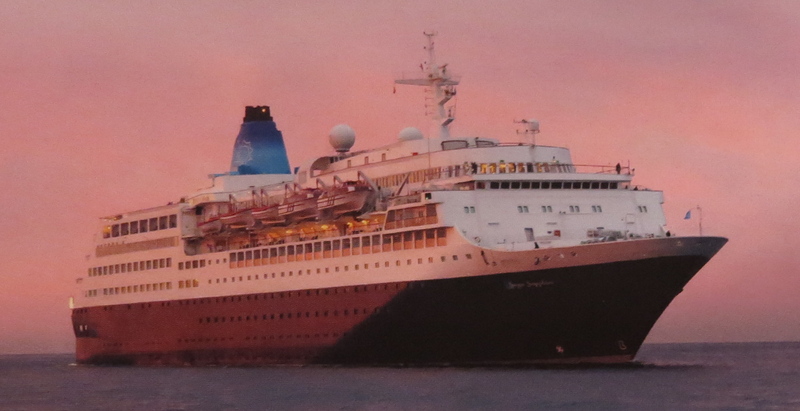 When some members of the audience started waving walking sticks to a rendition of Sweet Caroline in one of the lounges, I decided I was still a little young – despite what my birth certificate says – for a Saga cruise. But it certainly gives me something to look forward to as I get older. This entry was posted in General, Ship reviews and tagged over-50s, saga, sapphire. Bookmark the permalink.